A local farmer wisely said ” its a funny thing water, either you have too much or not enough and either way its in the wrong place”. So it is at Riggles Farmhouse just now that our deep spring feeding our well water has dried up, along with the channels that feed the ponds. Wonderfully, two different locals worked together to help us get a full water bowser here so we have something to keep us afloat! Many are surprised to hear this news apart from those who depend on well water. A friend at Hemyock is switching from well water to mains and water companies are having a busy time. Wonder just how many new pipes are being layed or replaced by Wessex water in the local environment and you can’t help but think about the new housing developments and their impact. It seems the Devon water table is low, despite the feeling that its been damp. In fact, folk restoring a mill at Stapely couldn’t get their mill pond cleared of mud as there weren’t enough consecutive days without rain. However, rainfall is low here and we’ve had two dry springs in a row. 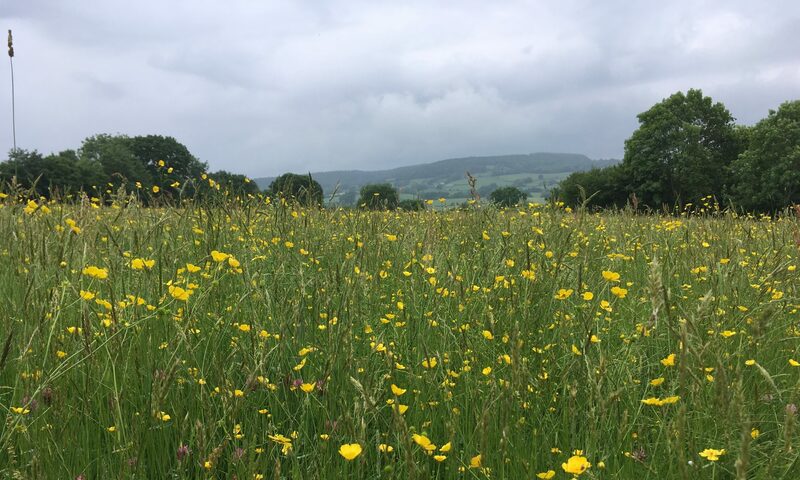 A talk at Blackdown Hills Gardening Club this year did warn after careful analysis that Blackdown Hills would struggle with water during this changing climate. Luckily there is enough local knowledge and wisdom to help us fall back on the springline mires still running in the woodland and an emergency team are working here today. Our salads are being delivered today as usual and we hope the guests booked in for half term will have running water! Still, there have always been changes in the springs and wells so lets hope and pray for the rain and water needed to sustain life on this precious earth. Anyone else in the parish or environs are welcome to contact us to let us know about your watery tales.